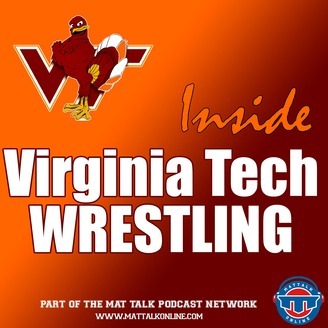 Episode 83 of Inside Virginia Tech Wrestling returns with head coach Tony Robie. 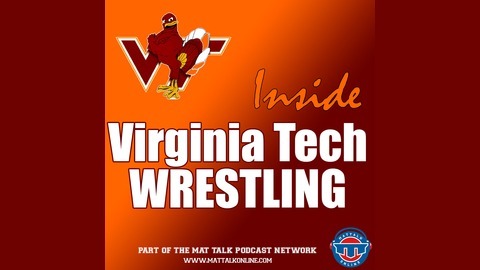 The Hokies head man will talk about the tragedy campus experienced 12 years ago and how it's shaped him and the program. Robie will then introduce the newest member of the Virginia Tech coaching staff before answering a number of questions fielded from #HokieNation via Twitter and TechSideline.com. SUBSCRIBE TO THE SHOW Apple Podcasts | Stitcher | Spreaker | iHeartRadio | Spotify | Google Play Music | iOS App | Android App | RSS SUPPORT THE SHOW And if you're a fan of the extensive and broad-based reach of the shows on the Mat Talk Podcast Network, become a TEAM MEMBER today. There are various levels of perks for the different levels of team membership. If you like wrestling content -- scratch that -- if you LOVE great wrestling content, consider becoming a team member and supporting the show. You'll get some cool stuff too.